Blades - Sell. Buy. On The Fly. A maximum of 10 parts can be added to a conversation at one time. Either remove another part or you can contact the seller for large package quoting. Sorry, you're trying to add an item located in a different country than items currently in your cart. You must remove the items in your current cart to add this one. You have already started a convo with and cannot add a part that is not from this Seller. Would you like to clear your conversation? You cannot add Buy outright and Exchange product together in conversation. What would you like to ask? We found an open conversation in your inbox with the same part number and serial number. We are redirecting you to the existing conversation. 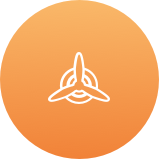 GoDirect Trade is a digital marketplace that brings buyers and sellers in the Aerospace industry together to simplify their experience of buying and selling aerospace parts. Copyright © 2019 GoDirect Trade all rights reserved. Powered by Honeywell.